A flyer from the Suffolk County district attorney in Massachusetts includes a computer-generated composite image of a toddler whose body was found in a trash bag near Boston in June. Authorities now have identified her as Bella Bond. This story is part of an ongoing series, Left for Dead: Inside America’s Coldest Cases. The young girl discovered in a trash bag near Boston in June and a dismembered toddler found earlier this month in a Chicago park were the latest highly publicized additions to almost 1,000 child Jane and John Does nationwide, according to a Reveal analysis of federal records. The girl exited that sad list today, when authorities announced that they had identified her as Bella Bond, and arrested her mother and the mother’s boyfriend. She leaves behind 916 unidentified dead children and young adults who, as of Aug. 1, populated the National Missing and Unidentified Persons System, or NamUs, a publicly searchable database launched by the Justice Department in 2007 that seeks to connect unidentified remains to reports of missing people. 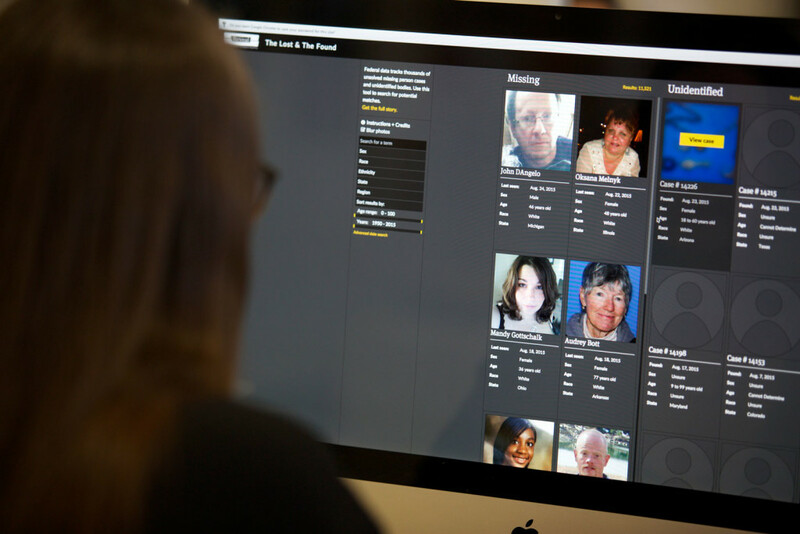 Using data from NamUs, Reveal made a search tool called The Lost & The Found as part of our Left for Dead project. It seeks to make it easier for citizens to search records of both the missing and unidentified to determine whether a match can be made. Users can search by state, age and other characteristics. Many unidentified children never make national headlines. They are relegated to brief local crime reports. Warehoused in morgues and public cemeteries across the country, child Jane and John Does all are missing from somewhere, and each holds a secret. But it’s not an easy story to tell in nightly news updates when so little is known about them and when no links can be made to grieving parents demanding police action. Todd Matthews, spokesman and director of case management for NamUs, said children may be more of a challenge to identify than adults because they haven’t left behind as long a trail of biometric information, such as fingerprints and dental records. Among the 916 cases is a 3-year-old African American girl found four days before Christmas in 1988. She was discovered in a wooded area of Waycross, Georgia, dressed in a knit shirt with a red pony on the front. On Sept. 25, 1998, authorities found a white boy, believed to be 10 to 12 years old, near a service road in Mebane, North Carolina. He was basically a skeleton, with $50 on him. 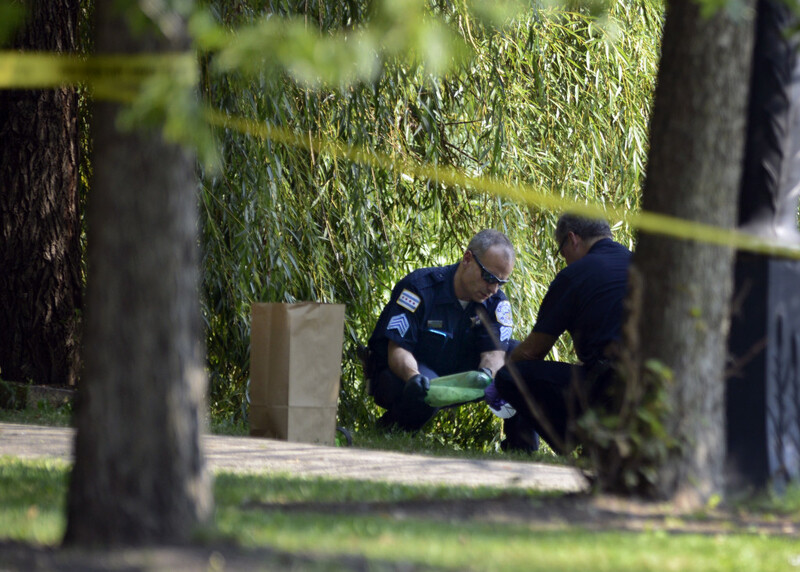 In the Chicago case, police are reviewing recent reports of up to nine missing boys, including two from the Chicago area, to determine whether any are connected to the remains found in the park. Among those nine is 2-year-old Malik Drummond, who disappeared from his home in Searcy, Arkansas, last fall. His case is in NamUs. Another is 2-year-old King Walker, who reportedly vanished with his developmentally disabled aunt from Gary, Indiana, in July. Walker’s missing persons case does not appear to be listed in the NamUs database, which authorities are not required to use. The unidentified often are given nicknames by law enforcement, searchers and local residents – and those names usually reflect where they were found. The girl now known as Bella was called Deer Island Jane Doe for the peninsula where she was found near Logan International Airport. 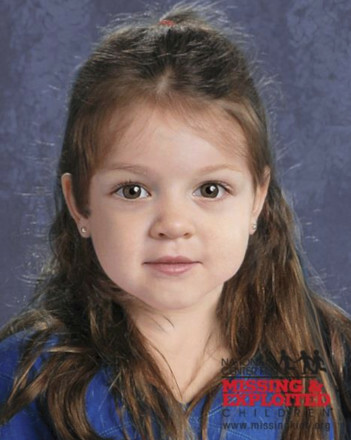 Images of what Bella may have looked like while alive were distributed across the region on billboards and in local publications. A Wikipedia page also was launched. Angela Williamson, who formerly ran a special unit at the National Center for Missing & Exploited Children that was created in 2011 to focus on unknown child victims, told Reveal in October that her organization had done an exceptional job making sure critical information like DNA and dental records was compiled for missing children when available. The unidentified dead, she said, need the same attention. “What the executive team realized was that we have all of these John and Jane Doe children out there, so we need to be working those cases as well, because unfortunately, we know some of them are going to be our long-term missing kids,” Williamson said. This story was edited by Fernando Diaz. It was copy edited by Nikki Frick.